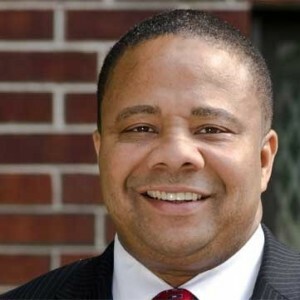 Jesse Hamilton will be the Democratic nominee to fill the New York State Senate seat, representing the Crown Heights neighborhood in Brooklyn and the 20th District. Hamilton was one of three people running to succeed Eric Adams as East Brooklyn’s newest NYS Senator (20th District). Adams moved on to become the Brooklyn Boro President. With 97% of precincts reporting on Tuesday in the heavily Democratic affiliated area, Hamilton enjoyed a wide lead of 64.9% in the ballots (9,090 votes). His opponent Rubain Dorancy, a relatively new face in local politics, has only received 29.9% (4,189 votes). A third candidate Guillermo Philpotts got 5.2% (728 votes). Support for the two main candidates has pitted some of the known figures in New York political arena. Even among the politically active Jewish residents, there was support for both Hamilton and Dorancy. Hamilton, 51, had the visible backing of Eric Adams, the Brooklyn Borough President, who vacated the Senate seat to take his current post, as well as New York City Council speaker Melissa Mark-Viverito. Coming out in support of Dorancy, 43, was Mayor Bill de Blasio, Congresswoman Yvette Clarke (D-NY9) and Congressmen Hakeem Jeffries (NY-8).